You can make a copy of any curriculum map, whether you created it, are collaborating on it, or want to make a copy of one that another teacher created. 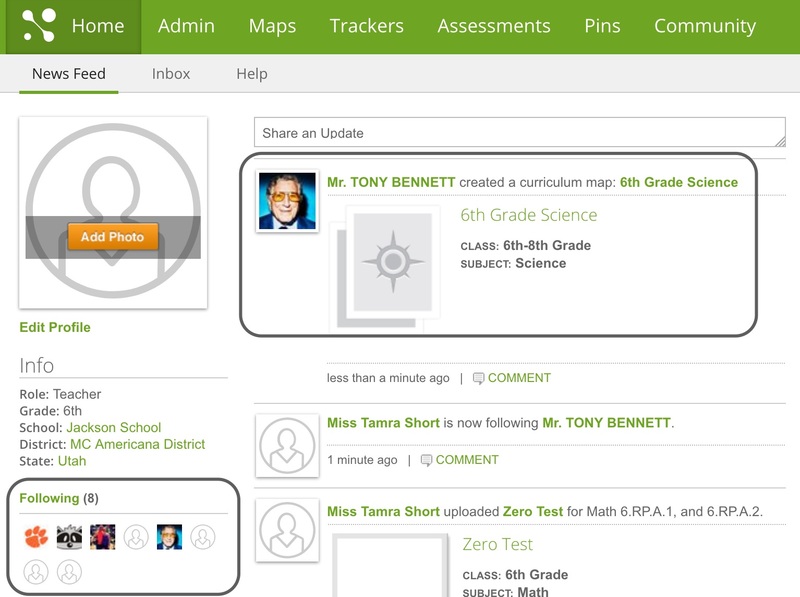 Click on the search field and type the name of the teacher whose map you want to use. 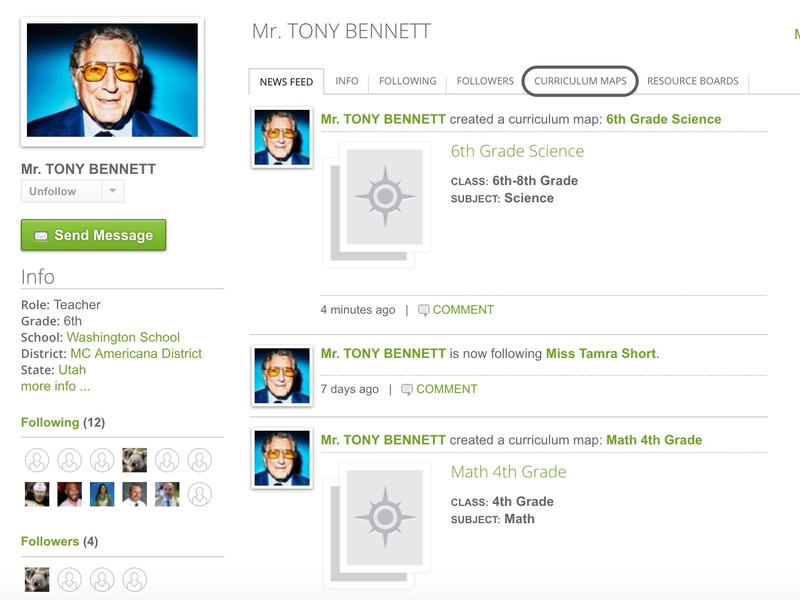 You can also pick from the teachers you are following, or from your news feed. On the teacher's home page, click on the Curriculum Maps tab to see a list of curriculum maps they've created. Click on Copy under the Curriculum Map you want to copy. Then click Copy Map. The map you copied will now be in your Created list of Curriculum Maps. You can edit or reorganize this curriculum map. Any of your maps can be copied. Click on any of the categories to find the map you want to copy. After you've found the map you want to copy, click on Copy under the map description. Click on Copy Map. This will copy over everything connected to the curriculum map, except for teammates or collaborators. 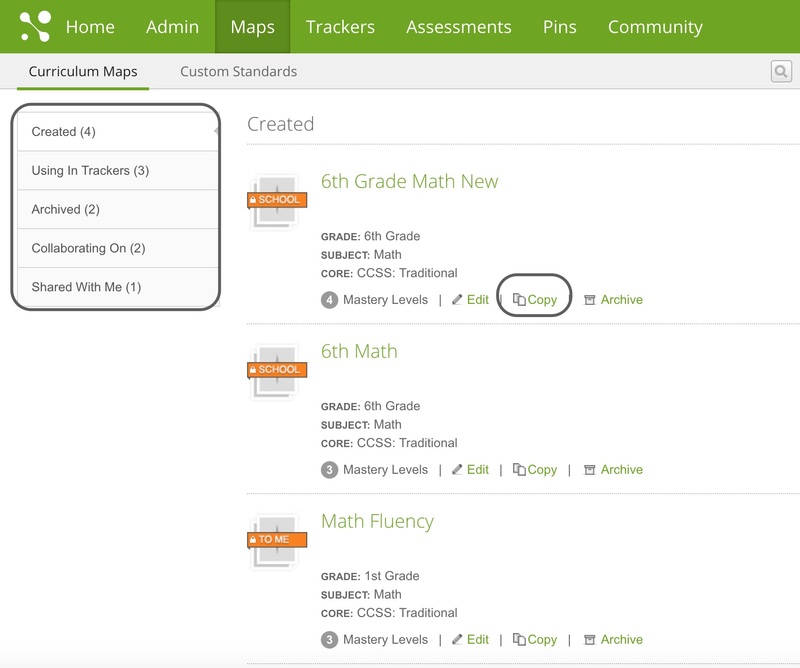 The map you copied will now be in your Created list of Curriculum Maps. You can edit or reorganize this curriculum map.